You think you can name all Depeche Mode music? 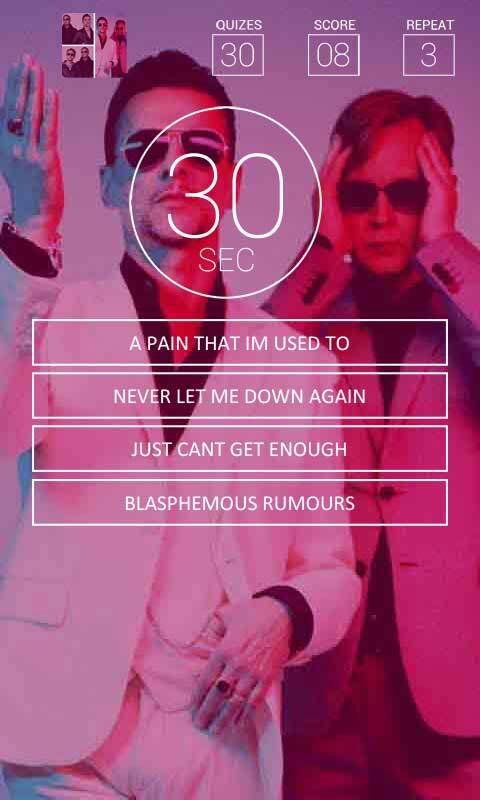 How many Depeche Mode songs can you guess? PROVE IT! 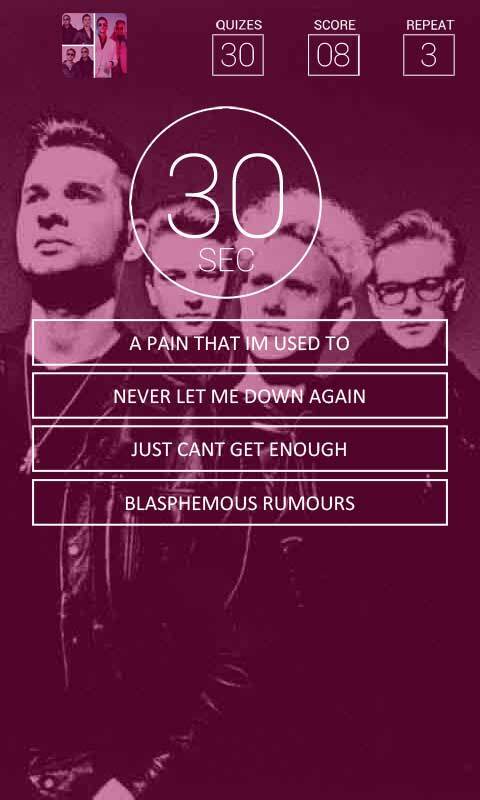 Guess the song name and become a true Depeche Mode Fan. 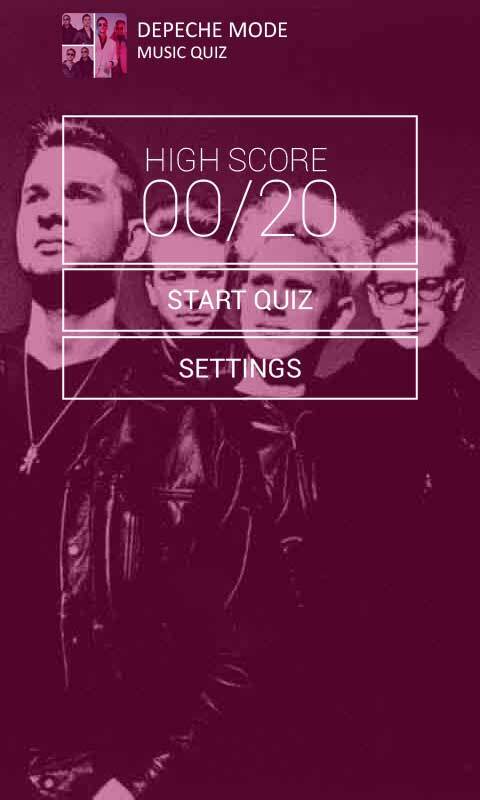 Take the challenge and try your hand at Depeche Mode Music Quiz. You will hear fragments of Depeche Mode most popular music hits Songs Included: - Somebody - Blasphemous Rumours - Personal Jesus - Just Cant Get Enough - Everything Counts - Enjoy The Silence - Shake The Disease - Its No Good - Strangelove - Dream On - People Are People - Walking In My Shoes - I Feel You - Precious - Never Let Me Down Again - A Pain That Im Used To - John The Revelator - Behind The Wheel - World In My Eyes - Halo - Policy Of Truth - Happiest Girl - Black Celebration - But Not Tonight - Long Time Lie We will be constantly adding new Depeche Mode songs! 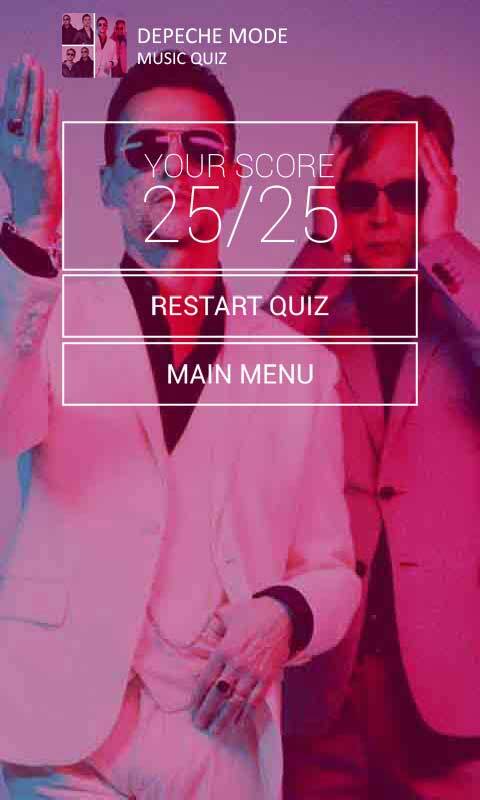 If you like quiz games and music this app is perfect choice for you! It’s one of the best apps!